Posted March 25th, 2018 by Mike Boyes & filed under Abnormal Psychology, Anxiety OC PTSD, Clinical Neuropsychology, Intervention: Adults-Couples, Neuroscience, Physiology, Stress, Stress Biopsychosocial Factors Illness, Stress Coping - Health, Stress: Coping Reducing. Description: You have most certainly heard of PTSD (Post Traumatic Stress Disorder). PTSD is listed as a diagnostic option within the area of the 5th edition of the Diagnostic and Statistical Manual in the section containing Anxiety disorders (many disorders are grouped based on common presenting symptoms rather than underlying neuropsychological commonalities (though there are efforts to change this). PTSD was added to the third edition of the DSM in 1981 which makes it seem like a newly discovered or newly emerging disorder. While this is true in terms of the label and of its appearance in the DSM it is not true of the collection of signs and symptoms of the disorder. Armies in previous world wars knew about it and struggled to deal with what was then called “shell shock” or “battle or combat fatigue” or “battle neurosis” or malingering or desertion. Perhaps you can see in the labels the negative, typically unsupportive view that was taken of the presentation od what would today be called symptoms of PTSD. It goes further back than that. Two Spartan soldiers at the Battle of Thermopylae (yes, the one with King Leonidas depicted in the movie 300) suffered from “acute inflammation of the eyes” labeled tresantes, meaning trembler (link reference below in further reading section). As well a Greek soldier at the battle of Marathon in 490 B.C. went permanently blind when the soldier standing next to him was killed (despite having no wounds on any part of his body that could account for blindness). The current collection of symptoms called PTSD is a human reaction to traumatic events. the article linked below provides an overview of how PTSD is currently understood and characterized within the DSM-5. It will provide you with a basic understanding of how Psychologists and Psychiatrists currently think about PTSD. 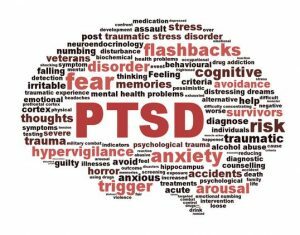 Have a read through the article and, as you do, think about issues that may affect the prevalence of PTSD in the population and subpopulations. 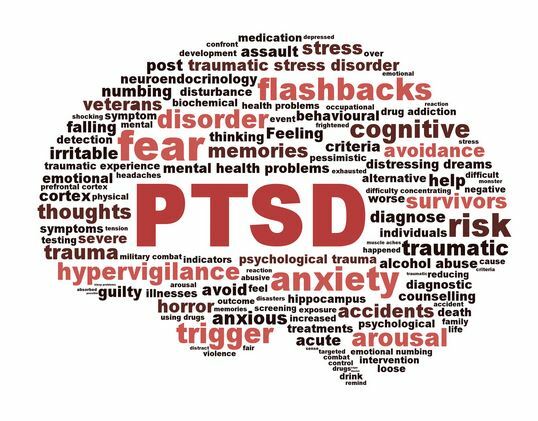 The two posts which follow this one will look at how we might want to expand our thinking about and understanding of the causes, prevalence and possible treatments for the symptoms gathered together under the PTSD banner. Source: Post-Traumatic Stress Disorder, Psychology Today. Much of the recent changes and expansion of focus upon PTSD arose from the efforts of the United States Veterans Administration in the years during and following the Vietnam war. The rate of now called PTSD symptomology jumped dramatically among the veterans returning from the “police action” that was the Vietnam War. This was partially due to the unconventional nature of the engagements that occurred in the field and the largescale lack of support for the war itself and, by extension, for the returning veterans making it vastly more difficult than in previous wards, for them to find support and opportunities to work on the PTSD symptoms they experienced. As the linked article spells out, it is instructive to note that the brain regions and related physiological responses that drive PTSD symptomology are grounded in fight/flight neurological mechanisms that are, in many circumstances, adaptive. They are also mechanisms that act reactively and quickly (far quicker than mechanisms of cognitive reflection and executive function) in ways that can make coping with their consequences quite difficult. The lifetime prevalence (what percentage of the general population will experience aspects of PTSD at some point in their lives) of PTSD is 7 to 9%. Among those working in medical and other “trauma collecting” areas the provenance is 15 to 20% and among first responders and the military some studies suggest it may be as high as 40% making it more prevalent than depression or cancer. The odds are that every one of us either has or will experienced PTSD symptoms or know one or more people who have or will. We all need to know about this disorder and about what we can do to provide assistance and support for those who are dealing with it (more on this in the next 2 posts). What are the primary symptoms of PTSD and why does the prevelance vary so much across subpopulations? What areas of the brain are involved in PTSD? What are the standard Psychiatric and Clinical Psychological treatments for symptoms of PTSD?